Perfect outing today. Very dramatic clouds but the north wind is not capable of making big waves on our lake, so relatively calm water. Some problems with calibrating RIM, apparently it doesn’t work on Sundays. 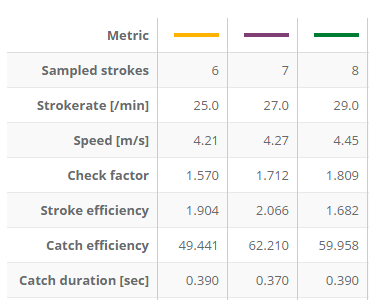 The part that was calibrated well yielded pretty good metrics. 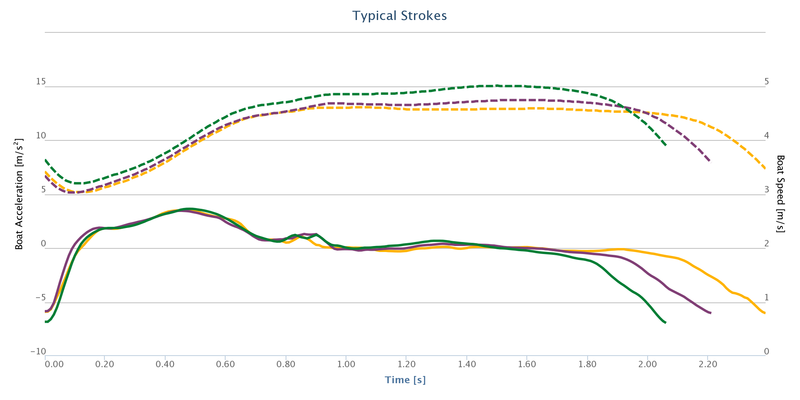 Not sure what the stroke acceleration profile means in a double. I always have very low heart rates doing steady state in the double. 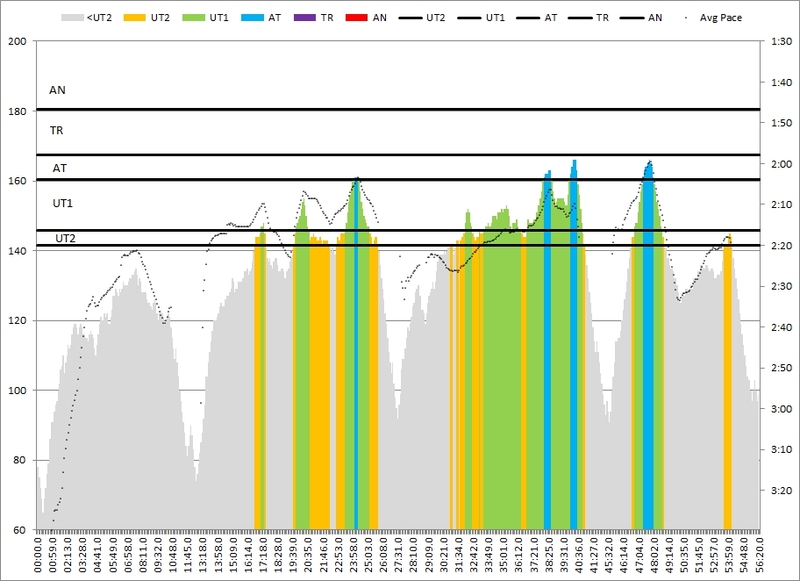 The peaks are when we did a 20 stroke set at a higher rate. Some of that is visible in the video. Apologies for using the same background music again. Couldn’t find anything better. I think we are pretty good. Kudos to Romana for copying my stroke perfectly. In the afternoon we watched the 2015 European Junior Rowing Championship on internet live stream. From our club, two guys in the Czech 4- finished in 5th place and one guy in the Czech 8+ came in 4th in a very exciting race. I was very impressed by the Dutch 1x girl who won her final with very nice technique. Her 34spm looked effortless.